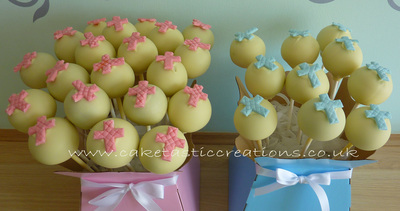 Our delicious CakePops come in 2 flavours: Vanilla or Chocolate, which are then dipped in Callenbaut Belgium Milk, Plain or White Chocolate and then decorated. 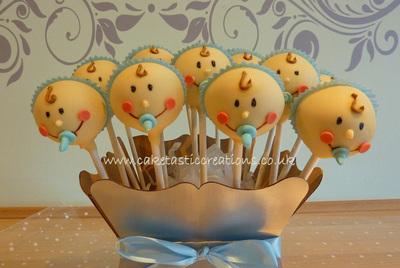 Just like our Cupcakes they can be personalised so just ask. 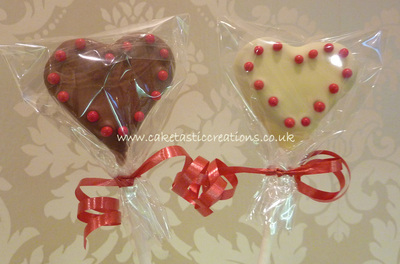 These are ideal for Wedding Favours, Children's party bags, as a gift or any occasion you want. 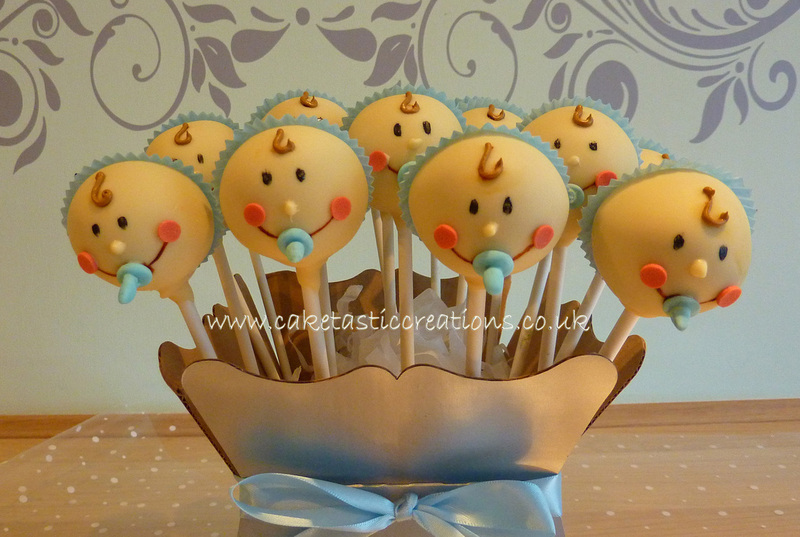 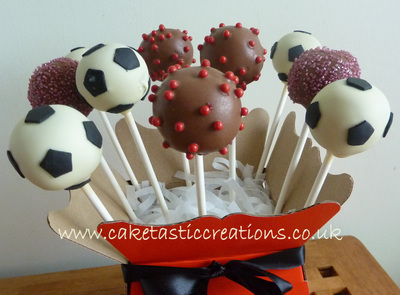 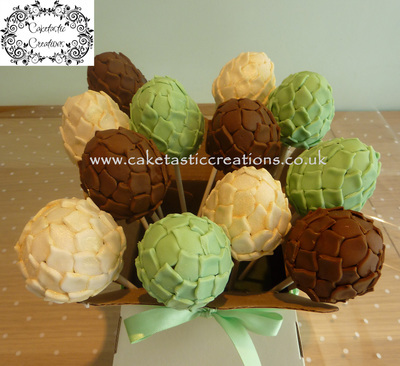 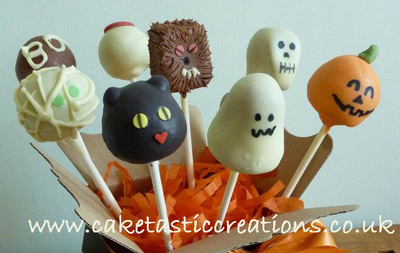 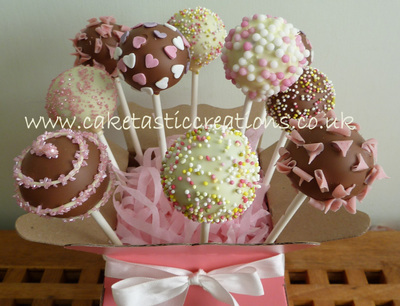 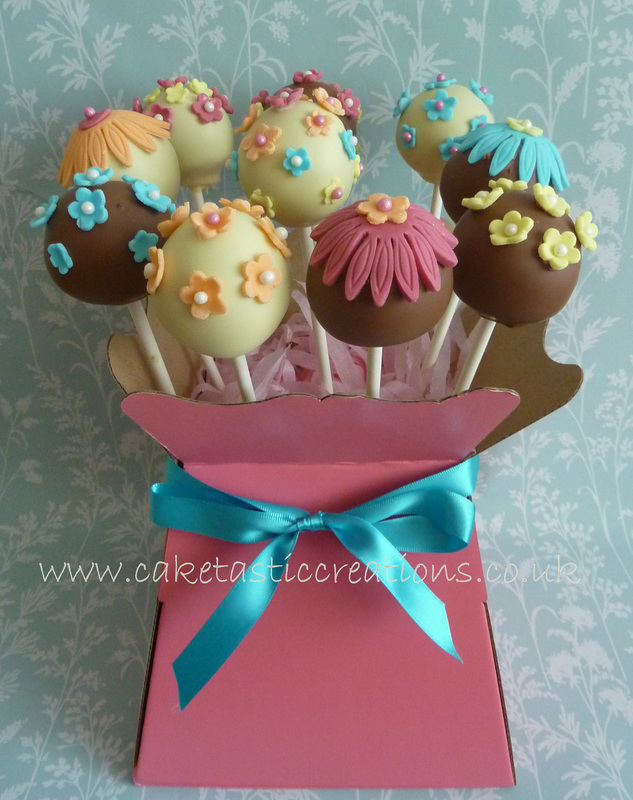 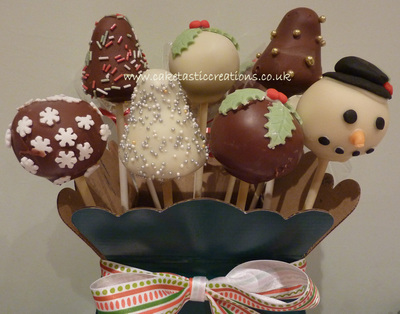 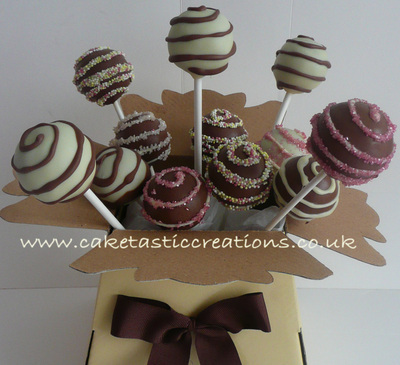 The CakePops can be added to a cake design, can come individually wrapped or in a bow as a bouquet, gift-wrapped with a bow & Tag.